Up until this past January, Kayla was a normal, happy 5th grader. A dare-devil by nature, she loved to barrel race at high speeds in rodeos. Then some bad headaches led her to the emergency room where a CT scan showed the problem. A brain tumor. It was cancer. Ever since then, Kayla’s young life has been turned upside down. She has been through two surgeries, radiation, and faces a year of difficult chemotherapy. 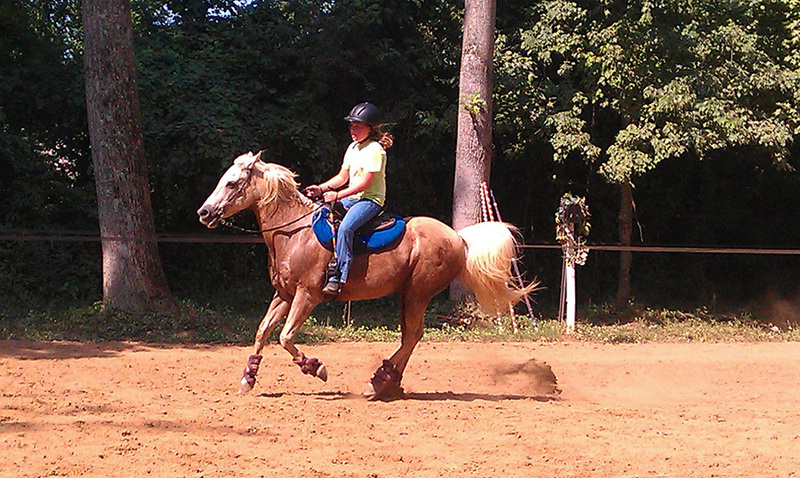 Her mother says the hardest part for Kayla is not being able to ride horses. Earlier this week, thanks to donations from people like you, Team Summer found a way to help. We couldn’t put Kayla back on a horse, but we could dress her horse up a bit! 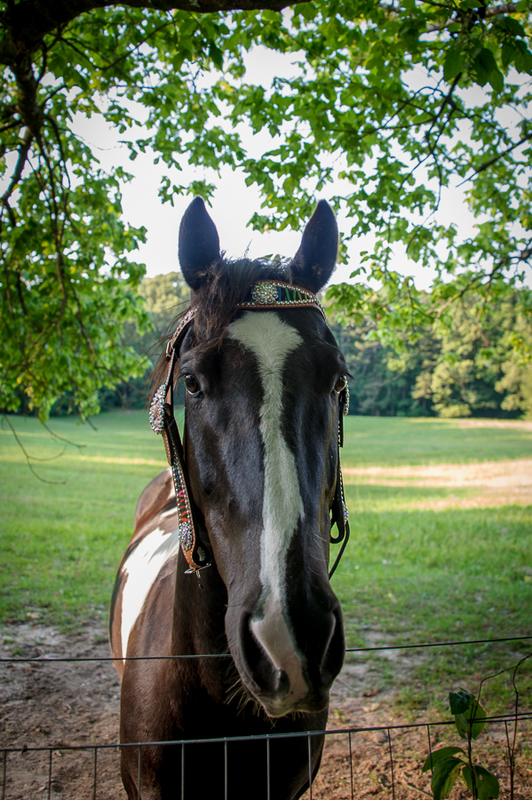 We learned that, for years, Kayla had always wanted fancy tack for her horse, Gambler. (He’s the black and white Paint horse pictured below.) Horse bling, she called it. The problem was, horse bling is pretty darn expensive, and it wasn’t something her family could spend money on. Part of the mission of Team Summer is to give gifts that will either distract kids struggling with cancer treatments or cheer them up. We think the bling for Gambler did both! Team Summer’s mission is also to connect kids with cancer to each other. Summer learned firsthand that having friends who truly understood what she was going through – because they had been through it or were going through it themselves – helped her immeasurably. Enter Haley – the 16-year-old girl battling ovarian cancer who recently got the French horn from Team Summer. She was on hand to present the gift to Kayla and let her know she was not alone. Part of the “Welcome to Team Summer” letter that Haley read to Kayla asks Kayla to now be on the lookout for other kids to help . Kayla told Haley she already had in mind some kids she had met in the cancer clinic. So look for Kayla to be giving a Team Summer gift soon! An extra thanks to the website from which we ordered Kayla’s tack – www.deuceswildtack.com. 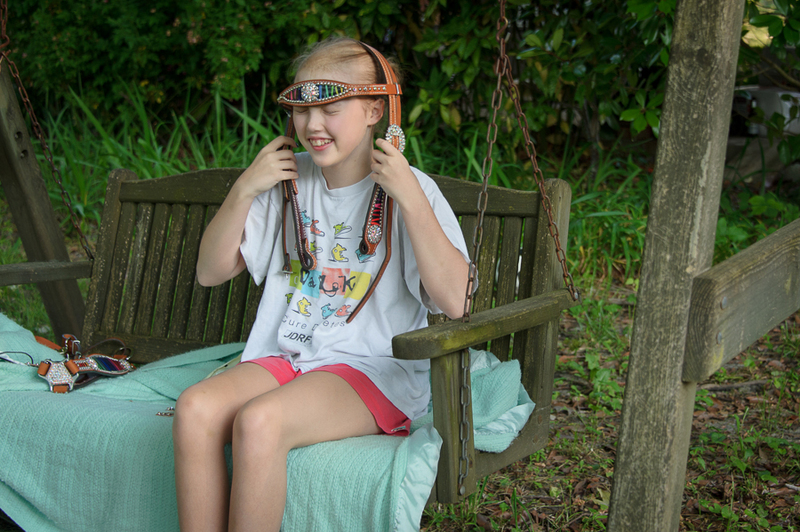 When they found out that Gambler’s tack was a Team Summer gift given by one pediatric cancer patient to another pediatric cancer patient, they include two extra items – a present for each girl! Bling crosses! They loved them! I was at Kayla’s house the day she was presented with the Bling for Gambler. She is my granddaughter. Thank you so very much for helping to make her day brighter! It is so helpful for her to think about things that don’t relate to her illness! You are doing a wonderful thing for kids who need all the encouragement they can get. Keep up the good work and , on behalf of our entire family, thank you.